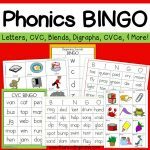 Do you want to help your young readers grow? Choosing books that are “just right” for readers is key. 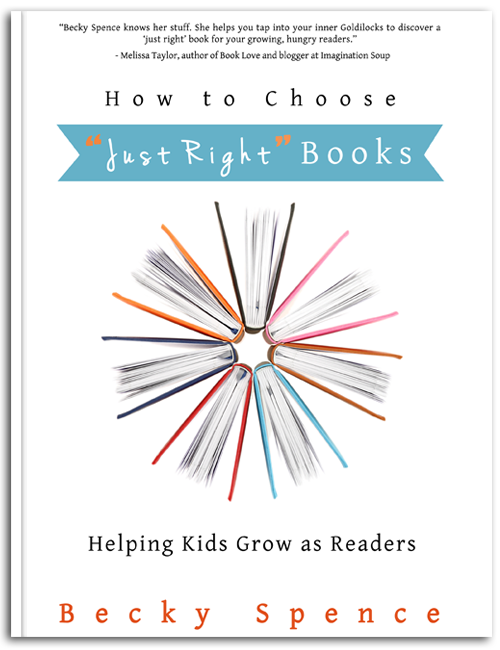 How to Choose ‘Just Right’ Books gives parents, tutors, and teachers the tools needed to find the “just right” book level for any reader. 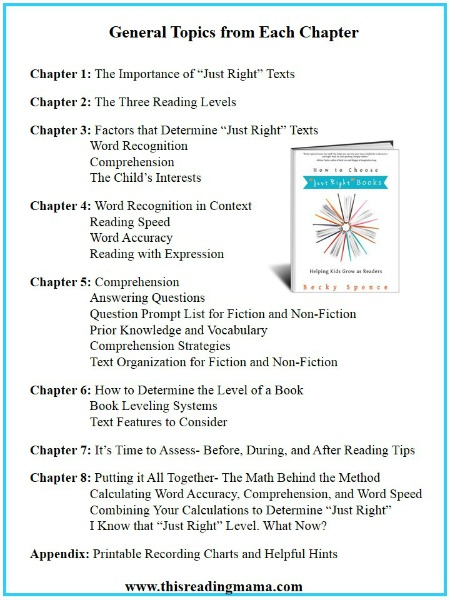 Becky Spence walks you through not only the theory behind using “just right” books, but also gives practical examples that you can take and use with your own growing readers. I’m so excited to share with you that my first ebook is HERE! (Please note this is a PDF file.) 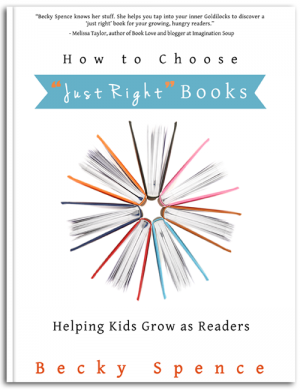 It’s called How to Choose “Just Right” Books: Helping Kids Grow as Readers (Purchase link is at the end of this blog post). Throughout my journey of blogging, I have been asked a lot of questions about reading. “How do I know if a book is just right for my reader?” ranks within my top 10 for sure. The answer to this question is a lot more complicated than the common five finger rule, especially for reluctant or struggling readers! So I’ve taken the information I learned while getting my M.Ed. 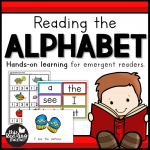 in Elementary Reading, my experience as a classroom teacher and private reading tutor of struggling readers, and the experience I’ve had over the last four years with my own young readers at home and bundled it all up in one place! Whew! Becky Spence knows her stuff — she’ll help you be like Goldilocks to discover a “just right” book for your growing, hungry readers. And, she gives you lots of yummy tips to make the reading more delicious! How To Choose “Just Right” Books approaches the topic of choosing out books for your children in a friendly and easy to read manner while filling the reader with the most important details on the subject. It clarifies common misconceptions with sound reasoning and gives valuable tips on how to encourage avid reading in your children through the selection of “just right” books. Becky’s substantial expertise and experience is evident and makes this book an invaluable piece for any parent wanting to learn about how to select the most appropriate books for their children. 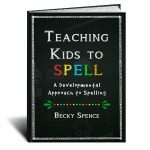 Whether you are a parent, tutor, or teacher; Becky’s book is a must-have guide for you to refer to as you help a struggling reader. This book was written in a user friendly way with concise directions and suggestions to guide you each time you select a book. I am so impressed Becky’s book. Every page is packed with easy to understand but deeply rich information.